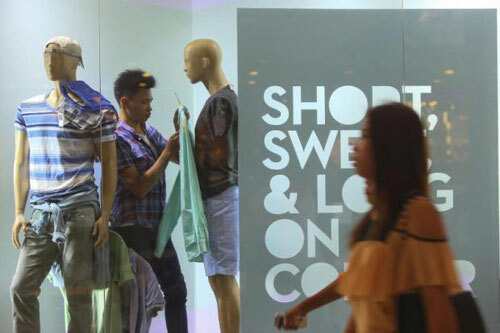 Thailand's consumer expenditure is projected to surge by 30.7% by 2022, driven mainly by travel, consumer food and beverage sectors, says global market research firm Euromonitor International. Euromonitor shared insights on how companies can tap into the Thai market at its first conference held in Bangkok yesterday. The conference was a gathering of 140 top-level managers from fast-moving consumer goods companies, the banking sector, public and trade organisations. "Asean is a very creative innovation hub," said Geana Barbosa, general manager of Euromonitor. The company's research found Thailand and Asean remain the key focus of global business developments because of healthy economic growth. Food and beverage and travel are the fastest-growing segments in Thailand. Warangkana Anuwong, research manager at Euromonitor, said Thai and Asean consumer spending behaviours have evolved. The most important categories for consumer spending in Thailand are food, beverages and tobacco (27%) followed by travel (23%). "Travel is by far the fastest growing industry in Thailand as people start to realise that experience does matter," she said. "In Asean, 30% are middle class, 50% live in urban areas and the average age is 29 years. The region is one of the fastest growing the world." Ms Warangkana said Asean is seeing a trend of a more "smart and techie" population as the demographics shift towards millennials. In Thailand, the consumer trend is in mobile commerce, which is predicted to grow by 234% in the next five years, with a compound annual growth rate of 27.3%. Active ageing is another clear trend. In Thailand, 33% of the population will be aged over 45 from this year onwards. "The average age of Thais by 2030 will be 43.9 years," Ms Warangkana said, up from 39 this year. "What 'active ageing' implies is a consumer trend of people wanting to stay young as they age." In Thailand, the research shows that food consumer services accounts for 40% of consumer spending. Thai consumers spend a lot of on consumer food services, indicating a love for eating. While the food and beverage and consumer food services industries are dominating the market, health and beauty is the fastest growing category and will continue to grow positively. "Health and beauty is also a fast growth sector in Thailand, and health and beauty leads the growth of all the sectors," she said. "Driven by both an ageing population who prefer more preventive measures rather than just illness treatments and the younger generation who aspire to look better and feel healthier from young age, Thais invest more to take care of their health and appearance," said Ms Warangkana.